Frederick Studemann: Unfurl the flags, dig out the bunting, the Commonwealth is in town. This is one of those weeks when London likes to see itself as the centre of the world — or at least the good chunk of it represented by the Commonwealth Heads of Government Meeting. The timing could not be better. As Britain progresses towards the self-inflicted deadline of Brexit — 49 weeks and counting — the Commonwealth is being heralded as the stage on which the next act, Global Britain, will play out. If only political reality would play ball. Just as the marketing initiative for CHOGM — as the jargon has it — went into overdrive, the UK government had to acknowledge its “appalling” treatment of part of the “Windrush generation” of Commonwealth citizens who had lived and worked in Britain for decades and yet were subject to official harassment and the threat of deportation. 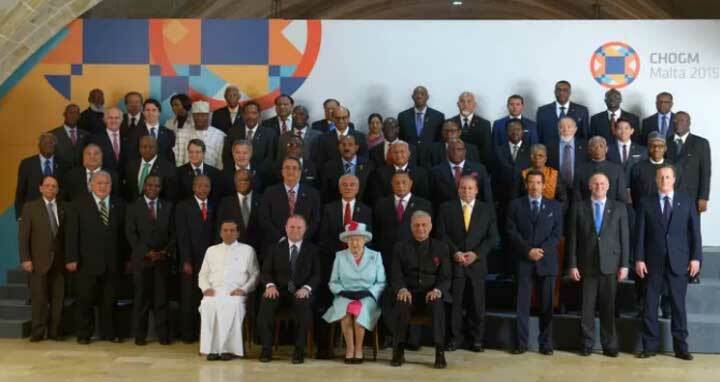 Initially the government declined a request for Theresa May to meet Commonwealth leaders in town for CHOGM, only to beat a hasty retreat after a public outcry. For an outfit where the rhetoric and mood music is all about shared values and dialogue, this looks distinctly odd. It suggests that, for all the talk of a community that has overcome the difficulties of a complex past, the reality remains harder still. It also somewhat takes the wind out of the sails of ministers, officials and Brexiter cheerleaders, who have all been busy talking up the prospects of an enhanced trading system among the Commonwealth’s members, most of which were once part of the British empire. Now, an event that was meant to be a confident celebration ended up kicking off with an anguished apology. The Commonwealth’s Brexit prospectus is not without appeal. In terms of geographical range, size, demographics, diversity and economic growth prospects, the 53-nation grouping packs a punch. It spans six continents, and with 2.4bn members it makes that other great global institution, the Catholic church with its flock of about 1.3bn, look a tad short-staffed. There are similarities within its political and legal systems; it brims with soft power and networks. Add a splash of regal glamour — the Queen heads the organisation and her son Prince Charles might well be tapped this week as her successor — and it is quite a show. The Commonwealth is also not without achievements. It was a forum in the fight against apartheid. It provided technical expertise to smaller nations. Yet, in the telling phrase of Philip Murphy, author of The Empire’s New Clothes about the Commonwealth, the grouping has also been something of a “grandfather clock”: a nicely veneered hand-me-down that has slightly lost its sense of time and works only if not too much is asked of it. Members have very different views about its character and purpose. A visit a few years ago to Marlborough House, the elegant central London mansion that the Queen made available to the organisation, left an impression of a well-meaning but slightly aimless place. Even its cheerleaders have had their doubts. A 2010 survey by the Royal Commonwealth Society found that many people living in member countries knew little of its existence. Meanwhile, it noted, the flotilla of Commonwealth civil society and professional organisations were “too aged, too male and too white”. And then came Brexit. The possibilities of the Commonwealth had long been identified by those who would go on to become leading figures in the Leave campaign. There are no doubt some gains to be had by improved business ties with the Commonwealth. But there are limits to what one can expect. But, as the Windrush case shows, converting the lofty ambition associated with the Commonwealth into practical effect will always be a challenge.